While many of us are recovering from a long winter and offseason, golfâ€™s top manufacturers have continued to push the limits of club head design and performance. 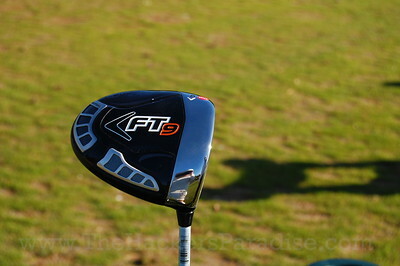 I recently had a chance to test and review Callawayâ€™s latest creation, the FT-9 driver. While manufacturers have continued to push the limits of design, I have continued to use an older, more traditional club head and set up. Geometric head designs produce solid results but do not always instill the type of confidence at address that a traditional pear shaped driver produces. The Callaway FT-9 is a healthy mix of traditional and modern design principles, ultimately producing confidence and performance that is tough to match. The combination of performance, playability, control, and distance create a solid driver that will meet the needs of a wide range of players. At first sight the relation to the FT-3 and FT-5 is apparent with the Callaway FT-9 driver. The club head sets up well at address and has a slightly longer and deeper club head than Callawayâ€™s previous FT models. While Callaway has pushed the limits of the FT-9, the club head maintains a traditional design while incorporating performance enhancing features such as Hyperbolic Face, OptiFit Internal system, and a unique External Web weighting systems which accurately changes the center of gravity to produce a desired trajectory. Simply put, the Callaway FT-9 represents versatility, distance and control all in a powerful package. Drivers continually peak my interest as many of the worldâ€™s top manufacturers continue to develop and release new technology. With market competition at the highest it has ever been companies continue to push the limits of design with the goal of producing the best overall product. While I have tested a number of the latest drivers very few seriously threatened to take the place of my trusted and tried Titleist 905R. The opportunity to test the Callaway FT-9 sat high of my list as I had previously enjoyed the FT-5 driver. A few minutes on the range and I knew I had a serious driver in my hands. It is often difficult to find a driver that combines playability and distance. The Callaway FT-9 does just that. 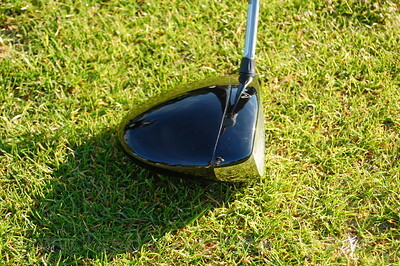 While it is not the longest driver I have tested, the driver has an incredibly hot face and control making this one of the best drivers I have encountered in recent years. Callaway Golf prides itself on its innovation and design. The FT-9 benefits from the latest technology to produce an incredibly low-spin driver that is long and easily controlled. Callawayâ€™s Hyperbolic Face technology creates an incredible feel at impact which produces a hot face with unmatched distance. Incorporating the success of the FT-5 with the Hyperbolic Face allows engineers to push ball speed specifications even further across the entire face without sacrificing any control. Aesthetically I was not overly impressed with the graphics of the driver as I found the sole graphics to be touch too flashy for my eye but the overall performance of the driver overshadows a relatively unimportant aspect. Fortunately, Callaway has avoided crown designs and maintaining a rather minimal club head producing confidence at address. Overall, I thoroughly enjoyed the Callaway FT-9 and feel that is one of the better drivers currently available on the market. The driver combines traditional design with the latest technology producing a driver with a hot feel without sacrificing workability and forgiveness. 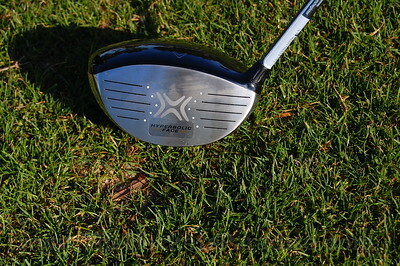 With an MSRP of $399.00 the driver is competitively priced compared to its competitors. If you are looking for a new driver seriously consider the Callaway FT-9. I was overly impressed with the results of this driver and look forward to adding this driver to my bag in the near future. We must add that despite my rave reviews of this club most of the testers actually preferred the Callaway Diablo to the FT-9 when hitting both side by side. You can read more about this driver at Callaway FT-9. Good review Dan! And I agree, very similar to my impressions of the club from a month ago. One of the best drivers I’ve hit this year by far. good review Dan and you are absolutely correct when saying that most users prefer the Diablo over the FT-9, and i am one of them. i really liked the FT-9, but if i had to choose, i would choose the Diablo. I agree with all you said Dan – good review. 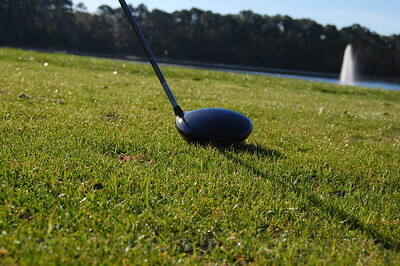 I think more people like the Diablo because more golfers hit it left to right than hit a draw. I think “hookers” will like the FT-9 a lot more- especially the Tour version – because of the open face. I know that’s the reason I love mine. dont know what happened there, anyway, i have just bought the callaway ft9 driver, draw version with 10 deg loft, now being fairly new to golf”5 years” I FIRST BOUGHT A BEN HOGAN 10.5 DEG WITH A REG FLEX SHAFT,this was after a short stint with a no name brand cheap 460 cc driver, well at first i thought that the hogan had fixed my slicing problem , but no after a few swings i realised that the slice was still there but i was hitting my drives a bit better, then i bought a cobra M speed 10.5 deg r flex driver, this was a marked improvement on the hogan, i was hitting longer and straighter but still had the fade to slice happening,it also was hitting too high for my swing and getting hardly any roll. i went into a drummonds golf store here in australia and hit about 6 different drivers with different shafts/lofts etc, the callaway FT9was by far the best driver on the simulator for me, i bought it there on the spot and although it was a lot dearer than i would have liked to pay after trading in my cobra i was anxious to get to the golf course and see what it really hit like. i was apprehensive as i arrived at the course because i have spent quite a bit on drivers without getting to the holy grail, i went over to tee block 17 which is 330 metres”360 yards” placed my ball on the tee, lined up remembering all the swing thoughts and let it rip, well the sight of that first ball sailing down the middle of the fairway dead straight was somewhat of a relief, “at least if i hit it like that all the time its going to be a really good drive, i reckon it carried 190 metres and rolled another 40 giving it a distance of 230 metres, “250 yards” not long i know but i am 61 yrs old and only started playing 5 years ago, the next 4 drives were all about the same, i was so excited , could this be the club that i have been searching for, by this time it was getting a bit dark so off home i went eager for the next day so i could play in our regular club comp, next day i arrived again in anticipation of what my driving would bring with my new FT9,well the day ended with a plus 10 in a par competion and my second best ever score for 18 holes, i hit 11 fairways, usually average 4 to 5 with the cobra and my driving distance on a few that i got hold of was about 10 meters longer than anything i had hit before with my best cobra drives,all up this driver “callaway ft9” is a gem, the slightly off centre hits are only about 20 metres shorter than the sweet spot hits and you can really see the ball flight is lower and more penetrating,any thing that tries to fade can be seen to be fighting in the air to curve back into the fairway. this driver may not suit all golfers swings but with my high fade to slice of my cobra m speed this driver is amazing, it is so forgiving that this in itself causes a slight problem by me sometimes not correctly alighning my setup properly because of the way my drives had been hitting the fairways, its not foolproof but it certainly is a huge improvement to my drivingand has an absolute benifit that i can see. I have bought the driver 10days ago and it really helped to reduce my score considerably because of the good distance it delivered. Unfortunately, the driver did not survive this short span of time. Hitting about 50 balls at the driving range this morning, the seal between the face and the body gave way. All hell break loose. The driver is now damaged. Managed to get a 1 to 1 exchange. Not sure how long the second driver will last. I played this club yesterday. I am trying this in lieu of my Cobra F speed LM driver. I was absolutely bombing it with this thing consistently, 20 yards longer than I have ever hit it before. The 10 degree loft is a considerably different ball flight from my Cobra 10.5 degree, much lower and penetrating giving me more travel once the ball hits the turf. It is very forgiving. I have the draw model and highly recommend this club, it is a bomber. Face is not as large as the Cobra, it carries a thicker mass farther back. Great club. Just bought a used FT-9, 8.5degree IMIX Vodoo stiff shaft driver. I have a Big Bertha 454 9 degree driver and wanted to upgrade but not spend as much. Went to the range and hit my old trusty 454 Big Bertha, which i hit good, long and fairly straight with and average of 275 yds then went to hit the FT-9. “WOW” what a huge difference in sounds was my first thought, no “TING” like my 454 produces. First hit nice and straight like i expected with an awesome feel. Hit a few more times to get the feel of the club then added some speed to my swing. I figured a little fade might produce from me over swinging but hardly off 10 yds from center and about 15 to 20 yds longer. Went and played a round, eager to get it out to drive with, hit 14 fairways, averaged 285 plus on my drives, hit a couple of 300 yarders with a nice roll. The 454 i did love, but is now getting put up, sold, or handed to my son-n-law. I love this FT-9 driver, payed just over $150 slightly used from a golf pro. Now i’m going to get it fitted to me. This will go along with my X-20 Callaway irons great. Still have to get used to the hollow sound it makes at impact. Awesome club. bought this club 2 months ago and love it.i also have the ft-5 which i hit great but wanted more distance.my ft-9 imix has the aldila dvs stiff shaft and works great.may experiment with shafts a little but averaging 290 plus yards straight as an arrow.drove the ball to far a few times but had a huge grin.very low spin off this driver.highly recomend this club.will be in my bag for a very long time.unless clubs change alot this could be my last driver purshase.